Will Journalists be Replaced by Robots? 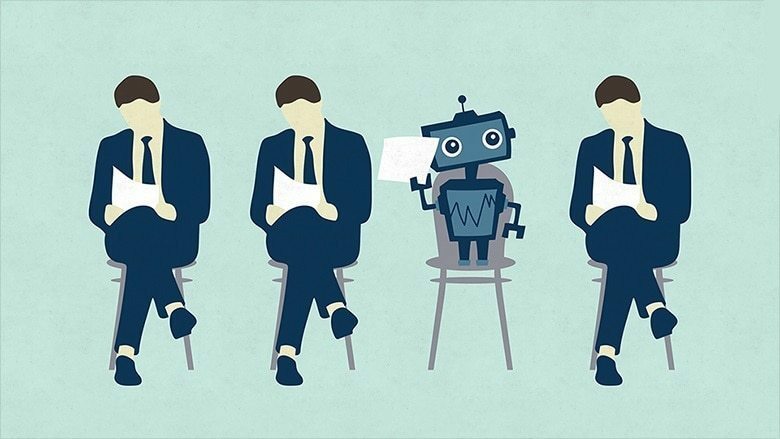 With the rise of Artificial Intelligence, people are becoming unsure of the stability of their careers. It was previously expected for creative fields like writers and artists to be safe from their robotic competitors. Professionals that have insurmountably been hurt by A.I. include lawyers, drivers and accountants. However, robot reporters have already been introduced in the newsroom. According to the online publication, medium.com, news outlets like “The Guardian” and “The Washington Post” have already been experimenting with A.I. They estimate that in 15 years, more than 90 percent of news will be written by a computer. Journalists have watched the industry transform before their eyes from print into digital publications. The first newspaper to have a digital publication was “The Columbus Dispatch” on July 1, 1980. According to FreePort Press, 44 percent of readers read 1-2 magazines a month, while 27 percent read 1-2 digital magazines a month. While the numbers show that print is not dying, publications are favoring digital due to the convenience and marketability. Journalism jobs are becoming increasingly more difficult to find due to the almost instant turnover rate required for digital publications. Now with the introduction of A.I., human reporters will not be able to compete. Professionals that have been hurt by A.I. include lawyers, drivers and accountants. Matt Carlson, the author of “The Robotic Reporter,” says the algorithm converts data into a narrative news story, with limited or no human intervention. British mathematic Alan Turing was one of the first to explore the mathematical possibility of A.I. He invented the Turning Machine in 1936 which is responsible for all modern technology. Aside from the loss of jobs, there is an ethical issue with robot reporters. News is meant to be unbiased, however that is sometimes impossible with human writers. Some journalists estimate that there is no such thing as an unbiased reporter. With the introduction of A.I., there will be an elimination of a bias. But there will also be a loss of the humanity that journalism needs. The first amendment grants this country freedom of the press. Without human intervention we lose that constitutional right. It is a simpler task to shutdown a computer and stop any news stories that a leader or figurehead does not want published. This is a common practice in countries without freedom of press like China, North Korea and Cuba. Journalists are taught to let the truth be known, no matter what. If someone tries to stop a journalist from writing the truth, it will eventually be known to the public. We lose this determined quality with the introduction of A.I. in the newsroom.